Claire helped to develop MSON while serving in the leadership of the Stanford Online High School. During her five-year tenure there, she oversaw year-over-year growth in enrollment and managed financial aid, student recruitment, and school collaborations as Director of Admissions and External Relations; taught history; and served as the liaison to the Malone Family Foundation for the school’s $5 million scholarship endowment. For four years, Claire taught English and French and coached debate at the Harvard-Westlake School in Los Angeles. Claire is a member of the Board of Trustees of the Enrollment Management Association, the Corporation of the Winsor School, and the Institute for Educational Advancement’s Caroline D. Bradley Scholarship Committee. 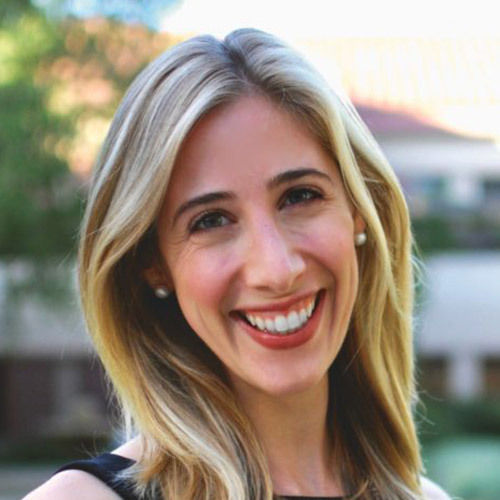 She holds an AB from Harvard College in History and Literature as well as a master’s degree in Policy, Organization, and Leadership Studies from the Stanford Graduate School of Education. She completed graduate work on a Harvard fellowship at the Ecole Normale Supérieure in Paris and was a Fellow with Education Pioneers.